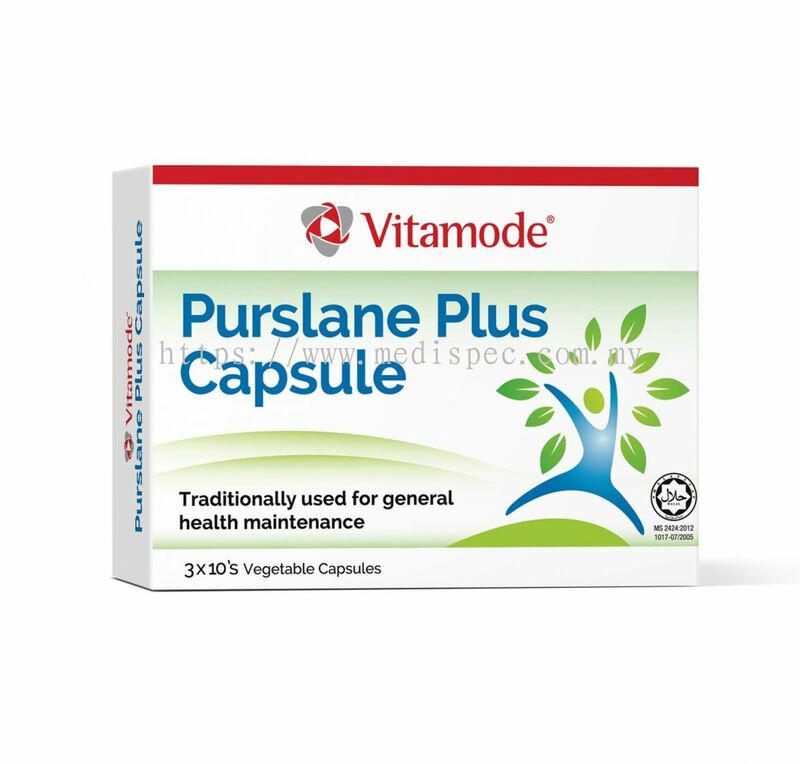 Vitamode® Purslane Plus Capsule is a blend of Portusana® purslane herb extract, cinnamon extract and bitter melon extract that is ideal for general health maintenance and improving metabolism of the body. 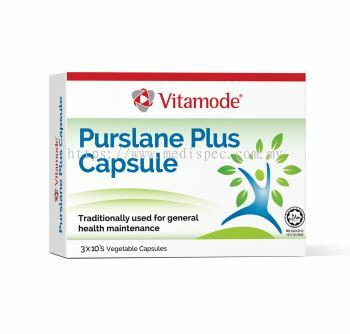 Vitamode® Purslane Plus Capsule is recommended for individuals with a sweet tooth and usually consume large meals. Let Vitamode® Purslane Plus Capsule help you enjoy the sweetness in life! Adult: Take 1-2 capsules once daily, before food.